Asian pop star Rain has decided to join Cube Entertainment, which manages K-pop artists BEAST, 4Minute and G.NA., ahead of his scheduled discharge from the military this July. This was announced by Hong Seung Seong, chief executive officer of Cube Entertainment, on the company’s website. 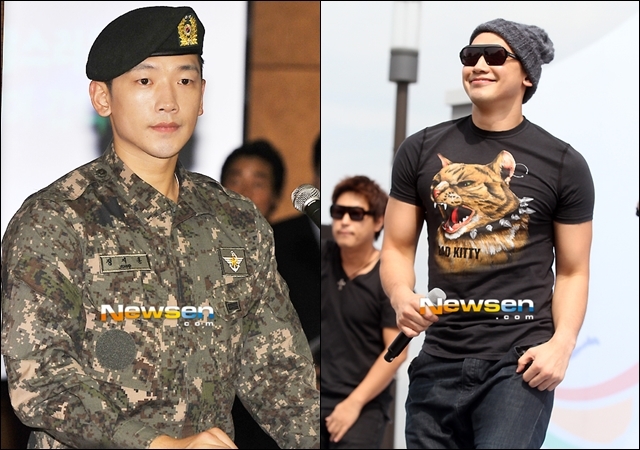 Rain, who enlisted in the military on Oct. 11, 2011, will be discharged on July 10. “Now, in this spring of 2013, Rain and Hong Seung Seong again stand together at this new starting line. You'll be able to see the second phase of Rain's life unfold before your eyes, following his many feats as a singer, actor and producer,” the Cube CEO wrote, according to ENewsWorld. Hong Seung Seong was the former president of JYP Entertainment. He established Cube Entertainment in 2008. Rain debuted under JYPE in 2002 and was under the company until 2007 when he decided to form his own agency, J. Tune Entertainment. Hong Seung Seong cast and trained Rain in his early career, ENewsWorld said. “May holds memories of a spring I can’t forget, as it was when Rain, who later went on to become a global star, had his debut performance in 2002. We were happy as friends and supporters of each other, as we continued to support each other and at times give each other sharp advice,” Hong Seung Seong said. In December 2010, it was announced that Rain's J. Tune Entertainment would be merged with JYPE, with Park Jin-Young, as the largest shareholder. With Rain under Cube Entertainment, fans are asking what will happen to boy band MBLAQ, which was created by Rain under J. Tune Camp, a subsidiary of J. Tune Entertainment. By adding Rain to the company, Cube Entertainment has boosted its lineup of artists to compete with the Big 3 in the K-pop industry: SM Entertainment, YG Entertainment and JYPE.